Moving can be very stressful, especially for a senior. It’s not just about the physical move — choosing what furniture and mementos to keep — it also has a tremendous impact on emotions, health and the dynamics between family members and caregivers. Love & Order specializes in helping seniors (and their loved ones) throughout the move process, including the important steps before and after. For example, many of our clients need assistance with sorting and de-cluttering. The Love & Order team helps pack precious items, because we understand the emotional importance of them to our clients. Once a move is complete, we ensure that the new environment is both inviting and safe, which makes it easier for your loved one to feel comfortable in their new surroundings. If there are items to be disposed of, donated or sold, we help with that too. 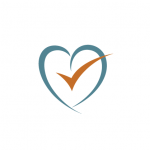 Whether it’s a transition from the family home to smaller living quarters or relocation into or within a continuing care community, Love & Order can help. It’s not just about efficiency. It’s also about honoring the wide range of emotions a senior and their loved ones feel throughout the process. That’s where our specialized training in the physiology and psychology of aging benefits our clients. Choose from a variety of move management packages to fit your budget and needs. 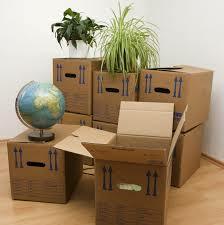 This package is perfect if you want to do it yourself but need helping in planning your move project. We will work with you to develop the scope, schedule, and resources for you to do it on your own. You’ll receive a plan to implement which includes 2 half-hour telephone coaching sessions when you hit the wall and need a sympathetic ear. In addition to a customized moving plan, this package provides additional coaching. Tap into our extensive knowledge and resources in one-to-one coaching sessions. We can meet in person, phone or via Skype. The number of sessions depends upon the specifics of your situation and needs. Price: based upon a standard hourly rate of $90/hour. Sessions are done in 30-minute increments. Have a tight deadline? No problem. With this package, you receive everything we offer. We create a plan, hire the resources, and oversee the work from start to finish. We’ll hand the keys to the house over to the realtor and even put mom on the plane for you! Price: We’ll create a customized quote based upon your project scope; typically provided as a flat hourly rate or a “not to exceed” amount based on an hourly rate.